You were wondering what The Price Is Right game show was like 50 years ago, right? Now you know: this clip from New Years Day 1962 shows a very different game where players guess the cost of expensive jewelry instead of a box of Rice-a-Roni. This first version of the show debuted in 1956 and was hosted by Bill Cullen with announcer Don Pardo (later famous as the voice of Saturday Night Live). 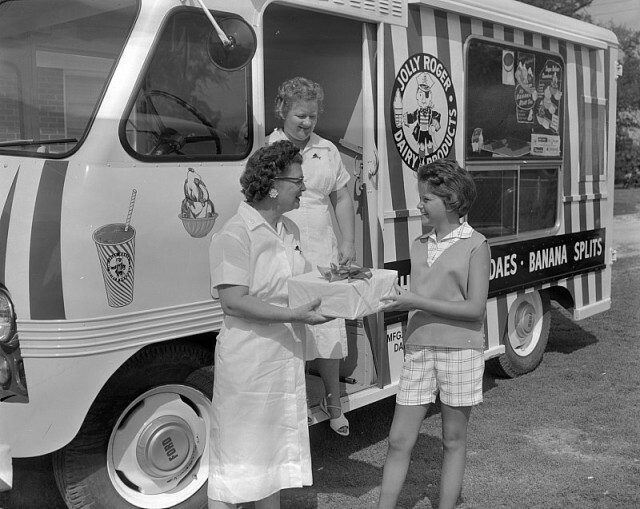 The final round has a Jolly Roger Ice Cream truck up for grabs instead of “a new car” which became the pinnacle of prizes on the Bob Barker-hosted “New Price Is Right” starting in 1972. The clip also includes ads for show sponsors Newport cigarettes (“the soothing coolness of menthol”) and Anacin (“Fast fast incredibly fast relief”).